If your looking at renovating, adding, altering or extending your existing home, then you've got 5 months left until the regulations change! As of May this year any changes to an existing home can be assessed using the provisions of the 2009 Building Codes of Australia, after that it comes under the 2014 BCA regulations. What does this mean for home owners? Well it is a lot simpler (and most times cheaper) to get compliance with the 2009 BCA than the 2014 BCA this means easier/less glass, wall & ceiling insulation requirements. 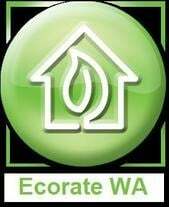 If you need an energy efficiency assessment contact us at Ecorate WA, we're good for your home & your pocket.